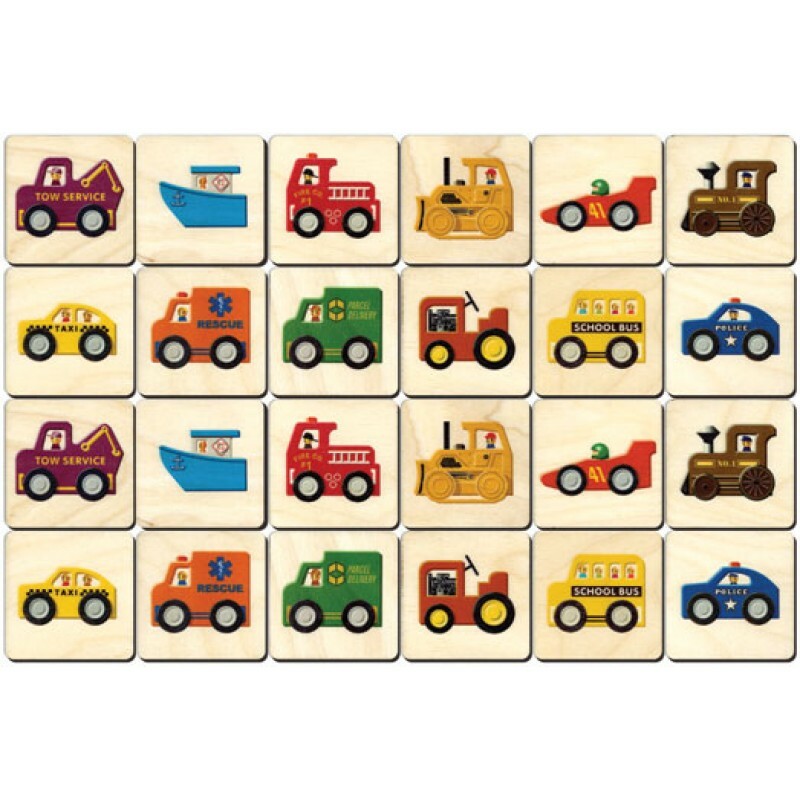 Vehicle Memory Tiles is our take on the classic Concentration game. Kids will have fun matching their favorite vehicle...whether it be a tow truck or a delivery truck there are plenty of matches to make. Vehicle Memory Tiles comes with 24 tiles (12 pairs) with a brightly colored vehicle image on one side and the Maple Landmark logo on the other. Each tile measures 2-1/2" square by 1/8" thick and is cut from high quality birch plywood. A cloth pouch for storage and instructions are included.